Buffalo, N.Y. — Spring is here and the roads are a mess. But the days of motorists calling to report potholes may someday be a thing of the past. Instead, networks of self-powered wireless sensors would be laid under the road surface, providing regular updates on road conditions to transportation planners, drivers with connected cars and other parties. That’s the promise of ePave, a joint project involving University at Buffalo computer scientists and researchers from China’s Chang’an University. “We want to detect road faults before they happen, and ultimately help motorists avoid traffic accidents due to damaged roads,” says Wenyao Xu, PhD, assistant professor of computer science and engineering at UB, and one of the project’s co-leaders. The idea of embedding sensors in pavement is not new. An example of this are the buried sensors at intersections that prompt traffic lights to change if another vehicle is crossing the road. These systems are powered by wires that connect to traffic lights. Many researchers are trying to create more intelligent systems using wireless technology. 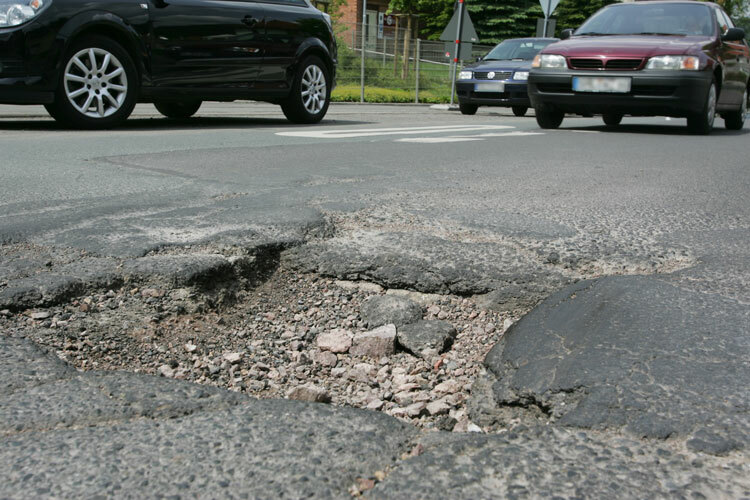 This could allow entire roads to be monitored, including traffic and sub-surface conditions, such as pressure and moisture levels, that can be a sign that potholes or other road faults are developing. Many proposed wireless systems focus on batteries. The trouble with that idea, Xu says, is that transportation planners would need to tear up the road to replace the batteries. Other alternative power sources include solar, mechanical and thermal energy, or harvesting ambient radio signals. Yet each faces limitations with cost, installation, maintenance and other issues. ePave attempts to work around these issues by harnessing piezoelectricity — the same type of electric charge used by electric cigarette lighters and acoustic guitar pickups — from the mechanical stress that vehicles put on roads. Each sensor is about the size of a key fob. Tests with a prototype suggest they can be placed as much as 500 feet apart. At two to three centimeters below the road, they can harvest and store enough energy to regularly detect moisture, pressure and other helpful information. It can then send this data every 10 minutes to relay stations as far as 1,000 feet away. These relay stations could be built into street lights or similar structures, and the data could then be transmitted to a network via underground cables. In turn, that information could then be shared with transportation planners, connected cars and others. While promising, ePave is not yet ready for the roads. Researchers plan to continue studying the system, including the life of the piezoelectric module, which they hope will last at least five years and possibly as long as 20 years. They’re also examining how to best embed the sensors, ways to reduce costs and other matters. More information on the system can be found in a study in the journal Sensors at http://www.mdpi.com/1424-8220/17/10/2207.